The high and low prices, or high and low bids and offers, recorded during a specified time. The high and low prices between which a security trades over a given period of time. The size of the price range is an indicator of volatility, with a large price range showing a great deal of volatility and a low range showing the opposite. A price range is also called simply a range. The high and low prices reached by a security within a given period. A large range in relation to a security price tends to indicate greater price volatility, making the security a better candidate for trading purposes but not necessarily for investment purposes. Also called price range. 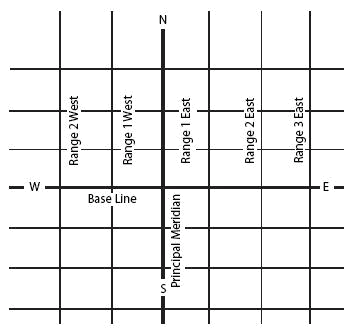 A division of land in the public land survey system.Each range line is approximately 6 miles apart and is identified according to its distance east or west from the principal meridian for the area. Range 1 West is in the column immediately west of the principal meridian for the area. See public land survey system. Farmers who have invested in changes to their farming practices so they can make valid credence claims such as free range also need protection from others making false credence claims, Mr Keogh said. Products are either sourced from enriched cage or free range egg laying systems. 27% spent for aggressiveness activities of turkeys in free range rearing system (Table II). Choice's 2012 'Survey on Consumer Expectations of Free Range Egg Labelling' found that 85 per cent of consumers choosing free-range did so for animal welfare reasons. semi-intensive and free range production systems mainly through modeling with the different levels of energy and protein intakes . Only ever using free range eggs sourced from a local supplier is one part of our efforts to achieve that. Yorkshire Farmhouse Sales and Marketing Director, Adrian Potter, said: "We are delighted to be named the UK's largest producer and packer of free range only eggs. Catherine Armstrong said: "I would like to thank all our customers for their support and loyalty and I assure them that when they purchase Sunny Hill and Oxenrig Free Range Eggs, they will continue to receive our locally produced free-range eggs together with the excellent service for which our brands are renowned. While animal cruelty in any form is to be frowned upon, the food value in both battery and free range produced eggs is the same. Free Range Egg and Poultry Australia Ltd.
Free Range Farmers Association, Inc.